Richard Cordray, the director of the federal consumer watchdog agency created by President Barack Obama, announced Wednesday that he was stepping down. In a letter to his colleagues at the Consumer Financial Protection Bureau, Cordray wrote that he would leave by the end of the month. He did not provide a reason for his departure, but shortly after the letter was made public, The Columbus Dispatch reported that Cordray, a Democrat, would run for governor of Ohio in 2018. The seat will be open because Gov. John Kasich, a Republican, is term limited. The White House and many Republicans have been highly critical of the consumer agency for years, claiming its regulatory efforts stifle economic growth. Congressional Republicans introduced a bill earlier this year that would have defanged the bureau of many of its regulatory powers. News of Cordray's departure quickly sparked speculation that President Donald Trump might not name a successor as part of an effort to keep the regulatory agency hobbled. In a statement, Raj Shah, the White House deputy press secretary, said that “the Administration will announce an acting director and the President's choice to replace Mr. Cordray at the appropriate time." Cordray's resignation letter ran through a list of the agency's accomplishments, including "$12 billion in relief recovered for nearly 30 million consumers; stronger safeguards against irresponsible mortgage practices that caused the financial crisis and hurt millions of Americans; giving people a voice by handling over 1.3 million complaints that led to problems getting fixed for vast numbers of individuals, and creating new ways to bring financial education to the public so that people can take more control over their economic lives." Cordray was appointed the first director of CFPB in 2011 by Obama. The agency had been created a year earlier as part of the Dodd-Frank Wall Street Reform and Consumer Protection Act, a piece of legislation that emerged to help regulate the financial industry after the 2008 economic collapse. Cordray, who was an Obama recess appointment, was confirmed to a five-year term as the agency's director in July 2013. 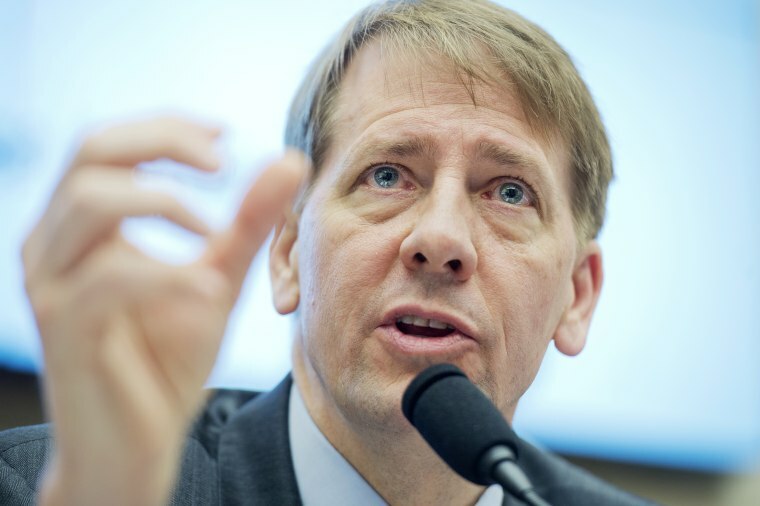 Before being tapped to lead the CFPB, Cordray was a representative in the Ohio state House for one term in the early 1990s and later served as Ohio's solicitor general, treasurer and attorney general.